The 1st XI were the only team to win yesterday but both the 1st XI and 2nd XI extended their leads at the top of their respective divisions as their nearest rivals either lost or had to be content with a losing draw. The 1st XI travelled to Gedling Colliery and with Pete Bhabra taking 4 for 57 the target was set at 195. In a welcome return to form Tom Murray made 80 and it was left to Ben Bhabra to secure a 3 wicket win with an unbeaten 49. The team now lead Division A by 25 points after Collingham had to be content with a losing draw to Long Eaton. The 2nd XI were involved in a run fest at The Strand. After being asked to bat Unity Casuals lost a wicket in the first over but there then followed stands of 162 and 120 as Shaharyar Aslam, making his debut for the club made a tremendous unbeaten 201 with 20 4s and 8 6s. The innings closed at a daunting 308 for 4 from 48 overs. In reply Will Shields 75 and Martin Shoemaker 49 put on 108 for the 2nd wicket and late in the innings Sam Clulow 57 and Martin Rayner 47* put on 121 for the 6th wicket with some lusty blows. The mammoth total was however just out of reach with the innings closing 26 runs short at 282 for 6. The losing draw extended the 2nds lead at the top of Division B to 6 points with a game in hand as Plumtree lost at Kimberley. On Long Lane the 3rds, in need of a win if they are to stave off relegation, went down to Chilwell by 4 wickets. 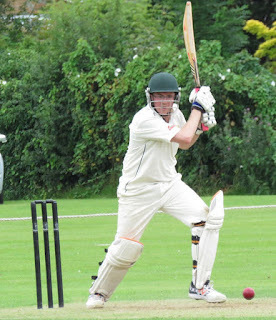 In a game reduced to 40 overs the 3rds were restricted to 111 for 9 with Sam Randall making 34. The visitors knocked off the runs in double quick time. The 4ths travelled into Leicestershire to play Great Dalby. Batting first Carl Knight 46 and Gordon Airey 70 help post a more than respectable total of 214 for 4 from 40 overs. 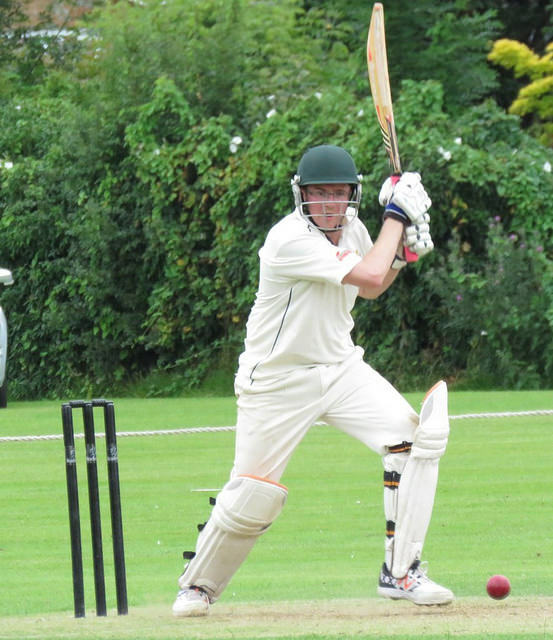 It was nowhere near enough though as the home side knocked off the runs with 7 wickets and 14 overs to spare. The 3rds remain in 3rd place in Division L.